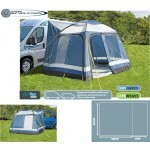 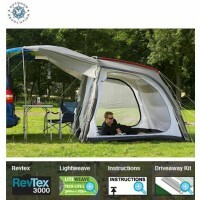 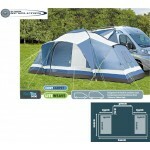 The Outwell San Diego Freeway is the smallest awning in Outwell's new, Smart Air Touring Range of inflatable awnings. 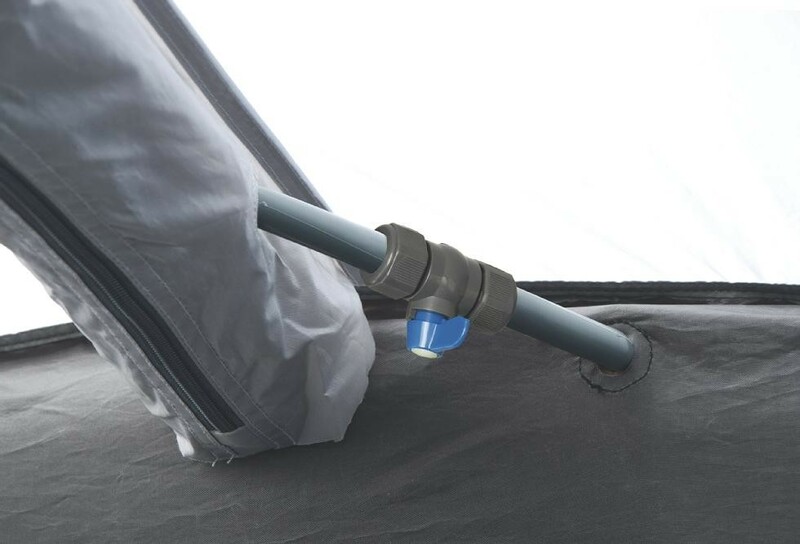 Smart Air Awnings feature the latest inflatable frame technology that replaces the standard steel or fibreglass poled frames. 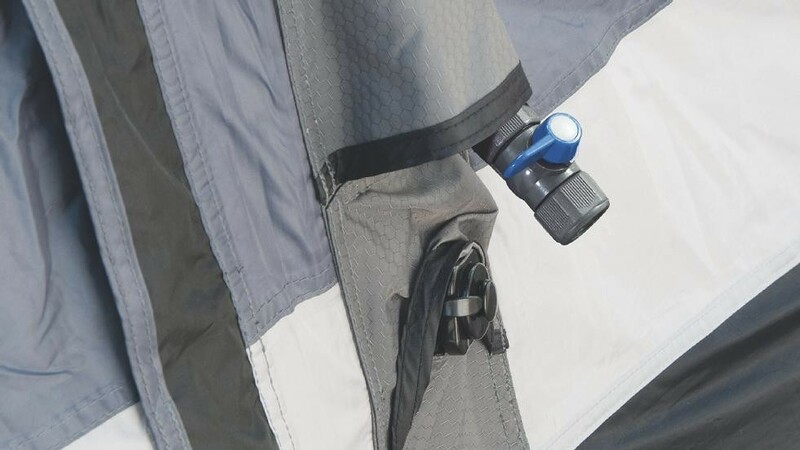 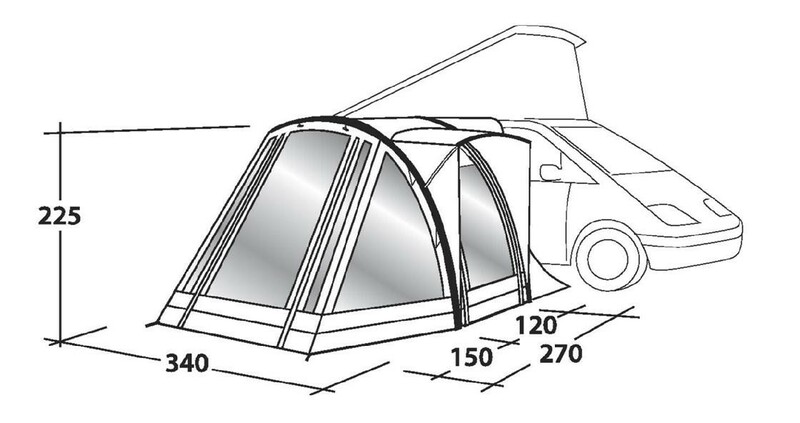 The San Diego Freeway can literally be inflated from one single valve in a matter of 60 seconds which makes this neat and compact awning absolutely ideal for those that are touring - or arriving on site in bad weather! 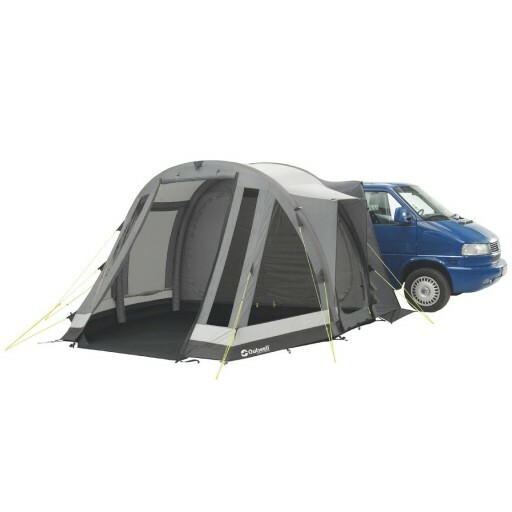 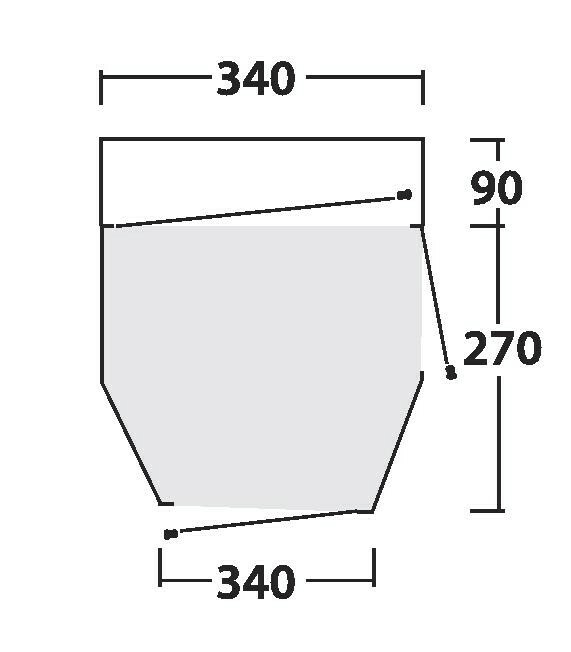 This awning will attach to vans with a rail height of between 170-220cm and features a single, open room that is ideal for adding further living space to your camper van. 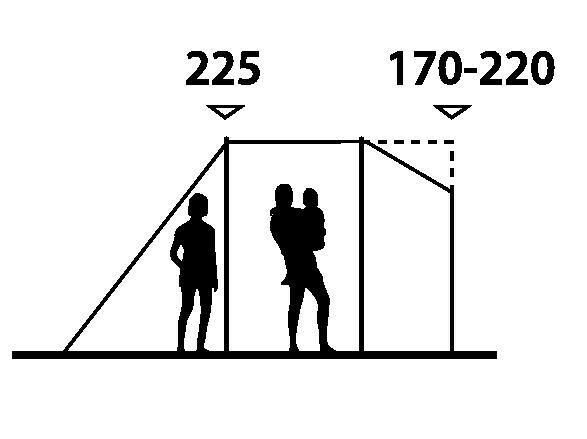 The San Diego Freeway features a large front panel doorway that can be propped open to form a sun canopy plus a side doorway with an overhead 'rain-safe' pole and canopy to protect the entrance from poor weather. 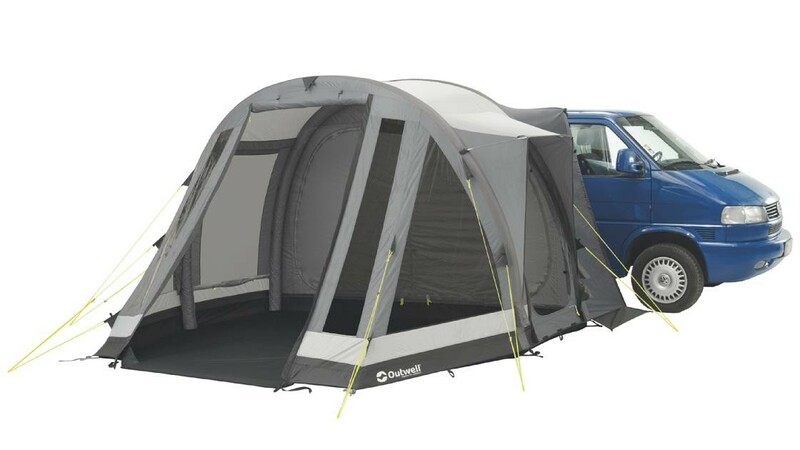 The awning features multiple windows - all with internal privacy covers - to allow in plenty of light and the whole awning benefits from a fully sewn-in groundsheet throughout. 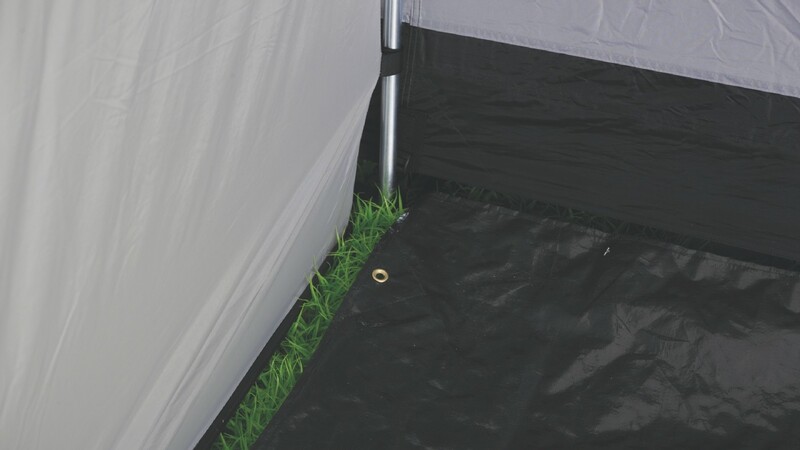 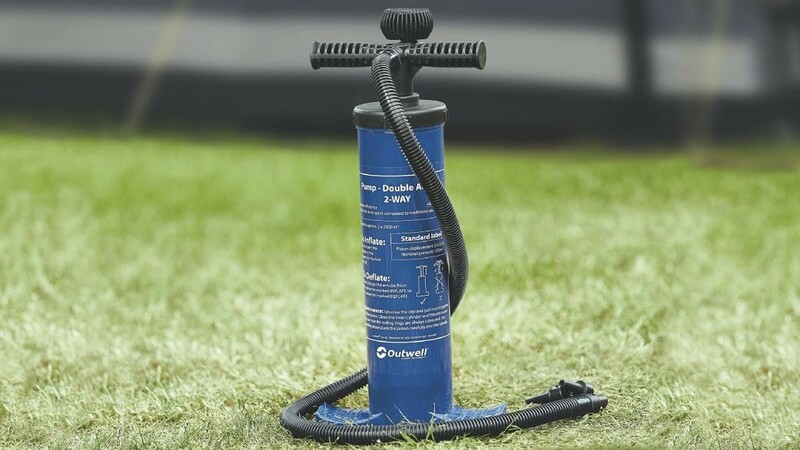 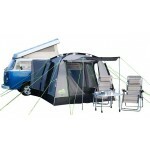 There's a large, roll-away rear access panel that leads through to your camper van which can be closed and secured so that you can leave the awning freestanding on the site while you do a spot of touring. 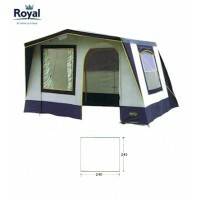 Outwell San Diego Freeway Motorhome Awning.